Would you try another book from James Dalessandro and/or Kevin Pierce? Kevin Pierce is a pro. 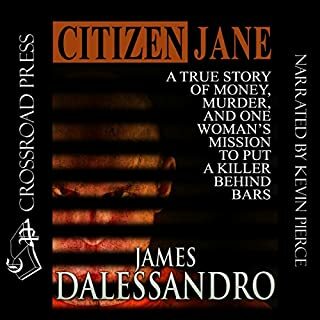 But James Dalessandro hoodwinked true crime fans with this title, so no, I'd steer clear of his books. What could James Dalessandro have done to make this a more enjoyable book for you? He could have not left 75% of the story out of the book. Seriously, he covered the entire trial in about 3 paragraphs! I thought my app had skipped over 15 chapters of testimony, but nope! The author just decided to wrap it up in the quickest summary you've ever read. The detailed lead-up to the trial is well done, but then BOOM we are in the epilogue!?! I felt like the author decided to publish his half-finished manuscript. Seasoned true crime readers will be very disappointed with this book which utterly fails to live up to expectations for the genre. Kevin Pierce could read recipes or the classifieds and make them sound intriguing. He's amazing. Buyer beware. Avoid this book. This true story begins on a sunny morning in 2003, just before the Fourth of July, outside of Flint Michigan, when an 80-year-old grandmother has mysteriously disappeared from the face of the Earth. She was my mother. Three days after she disappeared, the charred remains of her new car were identified, after being completely destroyed by an intentional fire; but she was nowhere to be found. 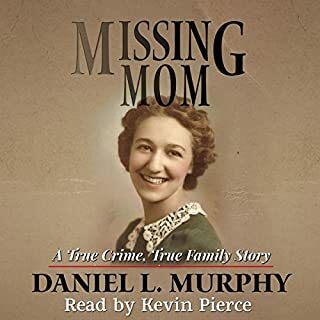 Would you listen to Missing Mom: A True Crime, True Family Story again? Why? I so enjoy Kevin Pierce's performances, I am likely to dust this off and re-listen to it in a few years. The narration. Besides that, this is just a beautifully-written book, well told. A wonderful listen, full of rich description and thoughtful reflections on a memorable and bittersweet story. The book is informative, and delivers procedural details without getting mired in them, while also providing enough context to ensure that those persons involved were developed as fully human -- helping the reader to empathize. All of them. Pierce is such a pro. Never over-acts. Clearly differentiates the characters. Brilliant delivery. I am such a shameless fan. The epilogue. Full of hope and new beginnings. Such a brave family, and the author in particular was genuinely inspiring. Won't say more to avoid spoilers. I have grown to trust and enjoy Mr. Pierce's true crime productions so much that as soon as he releases one I immediately buy it without even reading the full book description. As an Audible client with hundreds of titles who achieved the "master" level of listening hours long ago, I've sampled many narrators with various levels of talent and lack thereof. Mr. Pierce is my #1 favorite actor of all time, and any author would be *beyond* lucky to sign him. Listened straight through, cover to cover! Absolutely. A fantastic gift, so inspirational, so honest and funny. Ms. Gilbert was my favorite character. She was revealed as deeply human. What about Elizabeth Gilbert’s performance did you like? Everything. The reading was flawless. Shockingly great performance. Ms Gilbert is not only a world class writer, but a truly gifted actress too. I did. Hour upon hour, I binged through this book. I own over a hundred audiobooks and have never done that before. This book is something special. 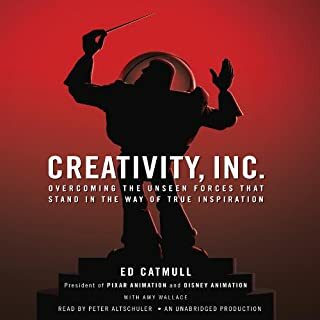 Thinking about buying this book but not sure? Take the plunge, you'll be so glad you did. A gift to your creative self. Leaves you feeling smarter, calmer, motivated. 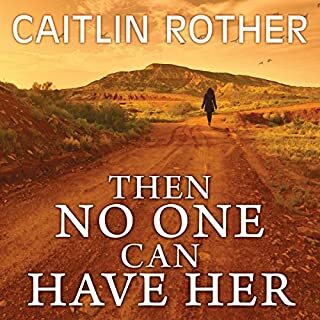 Would you consider the audio edition of Then No One Can Have Her to be better than the print version? Absolutely, Callie Beaulieu is a fantastic narrator. Which character – as performed by Callie Beaulieu – was your favorite? Somehow this narrator just knows how to bring each character to life in a unique way. It's quite amazing, her talent for personifying without overacting these various parts. 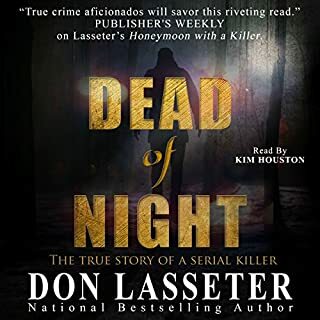 This narrator is just pitch perfect for true crime, mystery, thrillers. I would buy anything she narrates in those genres. Fantastic job, thank you. The chilling true story of Oregon's most shocking killer! Jimmy Rode was serving a sentence for burglary in a Florida prison when he met serial killer Ted Bundy. It was Bundy who gave him a Seattle newspaper containing personal ads - an easy means for meeting vulnerable female victims - that launched Rode on a coast-to-coast killing spree under the alias of Cesar Barone. Now, in detail, Lasseter unleashes the story of Jimmy Rode. 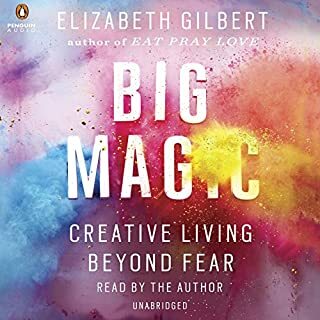 Top notch audiobook tells a compelling story that speeds along without getting bogged down in background. Clear and crisp pronunciation by the narrator, not overly dramatized, overall just a pleasure to listen to. I hope that Kim Houston collaborates on the production of many more audio titles!